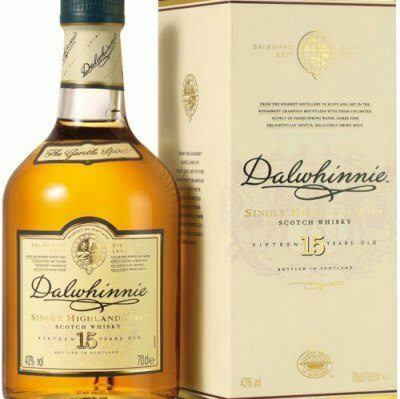 Dalwhinnie 15 year old Whisky. It is a subtle, smooth, delicately smoky malt with a heathery honey finish. From the highest distillery in Scotland, set in the windswept Grampian mountians with their unlimited supply of fresh spring water, comes this delightfully gentle, delicatley smokey malt. Dalwhinnie is one of the six 'Classic Malts' carefully selected to best represent each of the main whisky producing regions of Scotland. They embrace the the full diversity of regional tastes and styles. Dalwhinnie is a gentle, delicate malt from the wild and windswept Highlands.It is subtle, smooth and a delicately smokey malt with a honey finish.